Pairing a complex carb (fruit or veggie) with a protein at every meal keeps you full longer & your metabolism burning! 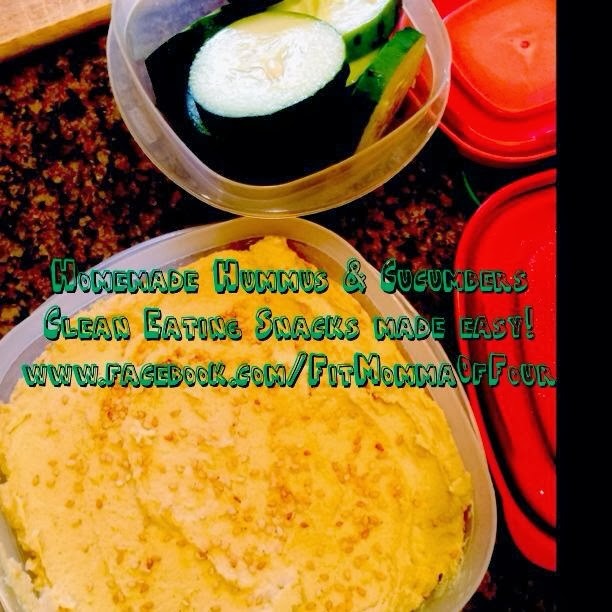 Try this awesome homemade hummus recipe I got from a friend! Mix in the food processor until smooth. Top with toasted sesame seeds & enjoy! For more clean recipes, click here!